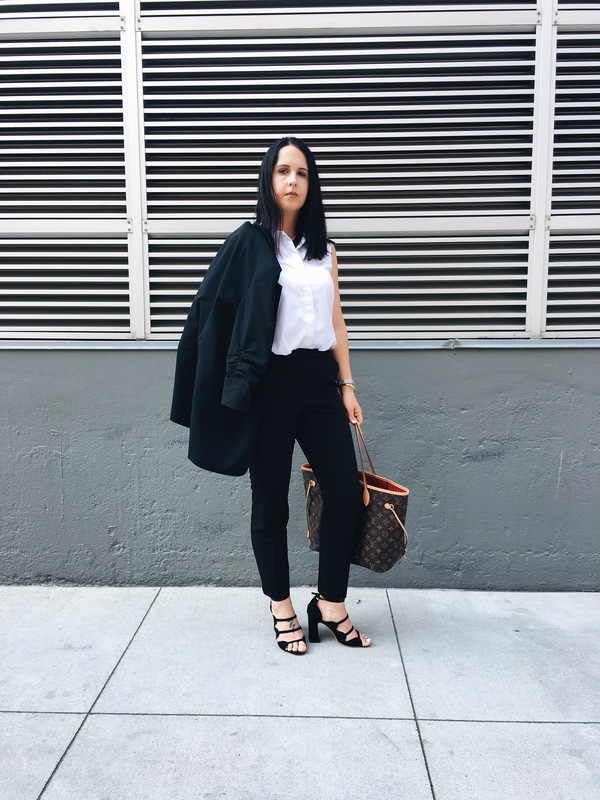 I’m on the hunt for the perfect fashion job that incorporates everything I love about fashion and what fashion means to me. I want to take the first steps into my career and I’m so excited about it. I have had several interviews this past week. I wanted to share an interview look with you all. Black and white is my favorite color combo and I think it really comes off as polished and professional. 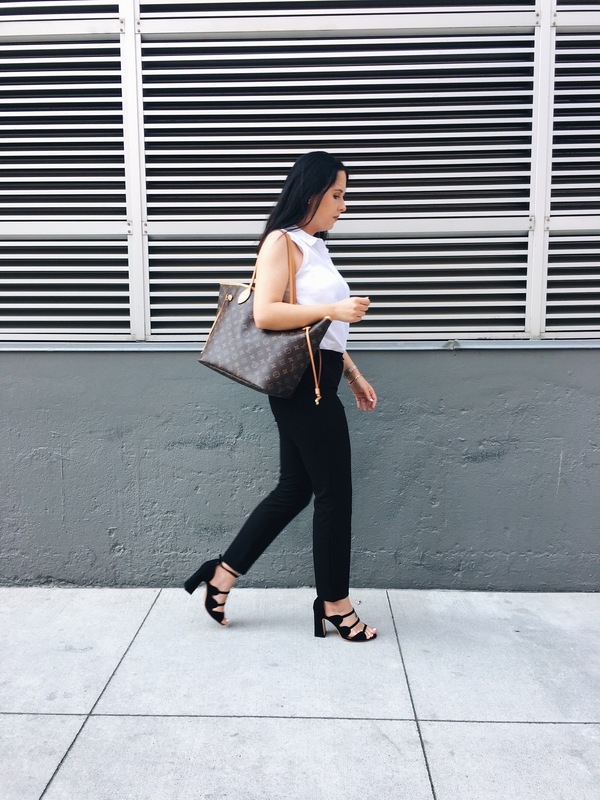 I toted around my Neverfull because I had resumes and a notebook with me, not to forget to mention my tripod for a photoshoot. I took these pictures in SF! I love shooting in the city. 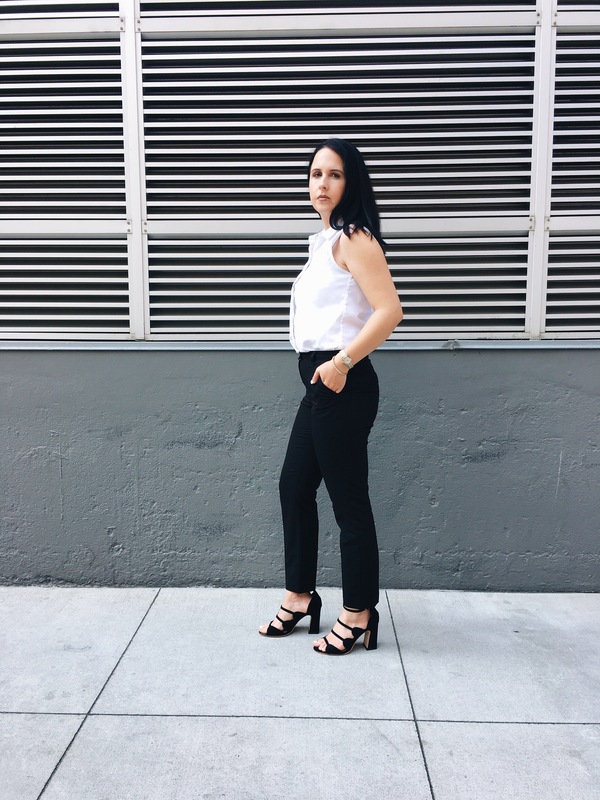 I recently purchased these black cigarette pants from Topshop. I’m extremely happy with them, they fit perfect. 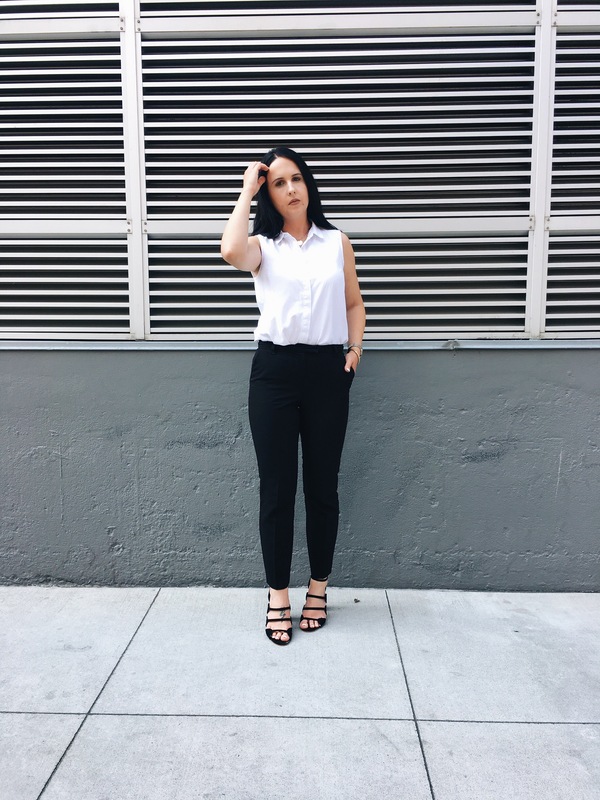 The sleeveless white button up is a favorite staple I own. It’s great because you can wear in all seasons, layer or alone. I also wear it both casually and for occasions. This Elizabeth and James blazer is a must have in my closet. It has ruched sleeves and a longer cut. The added length makes me seem less petite. 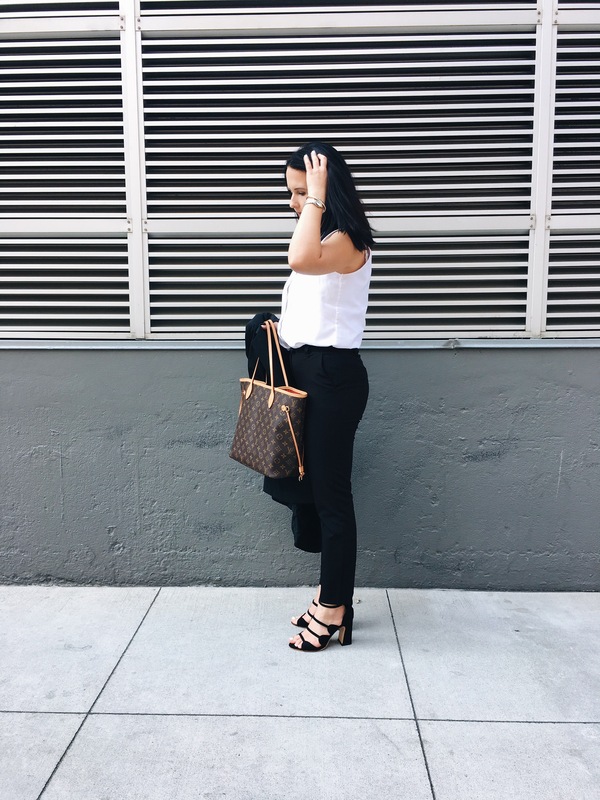 By the way, I’m obsessing over these strap chunky heels and they are still available! Scroll down for the link. What is your favorite work piece? I would love feedback and advise for my new 9-5 wardrobe. The photos are excellent, Liz. Good luck with your job search!